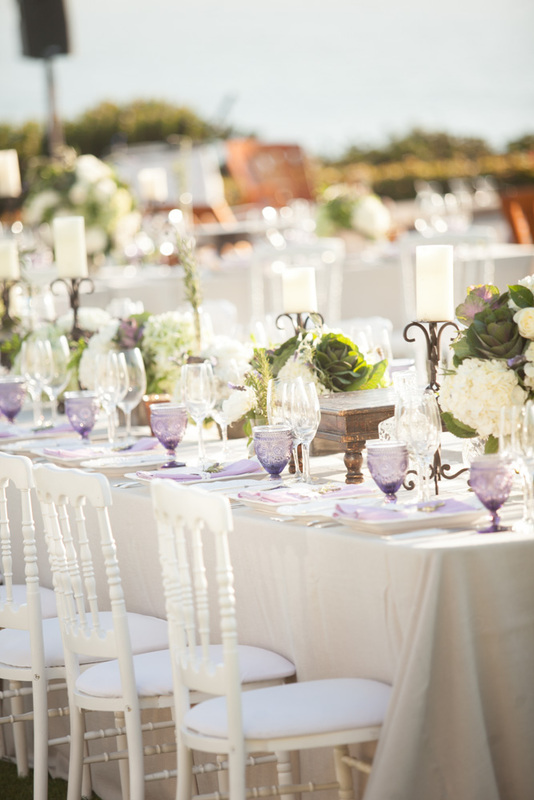 Inspired by the weathered elegance of Provence, this past September we had the honor of collaborating on Kimberly and Arthur’s dream wedding, not in France, but at the Montage Laguna Beach on the picturesque California Coast. 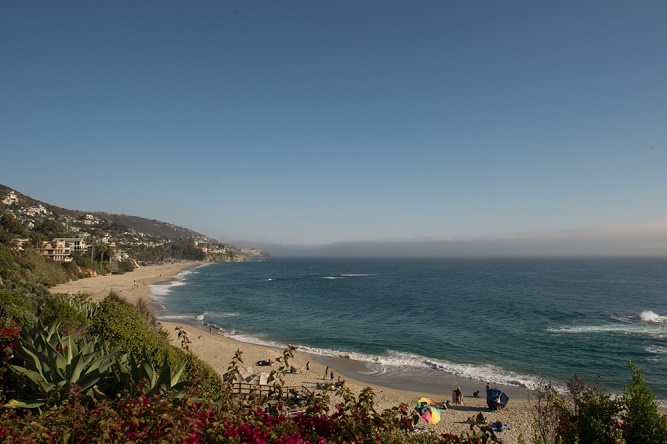 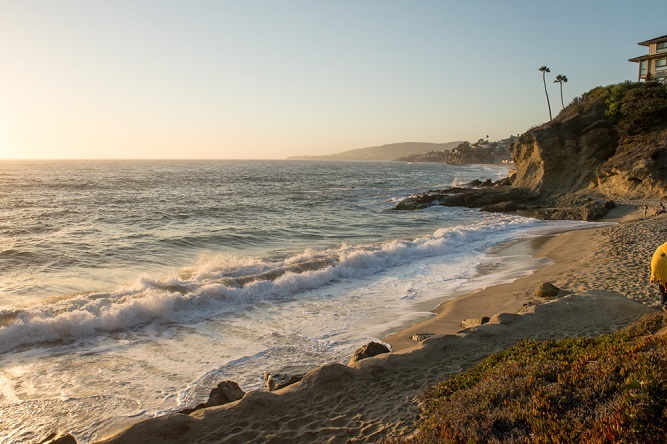 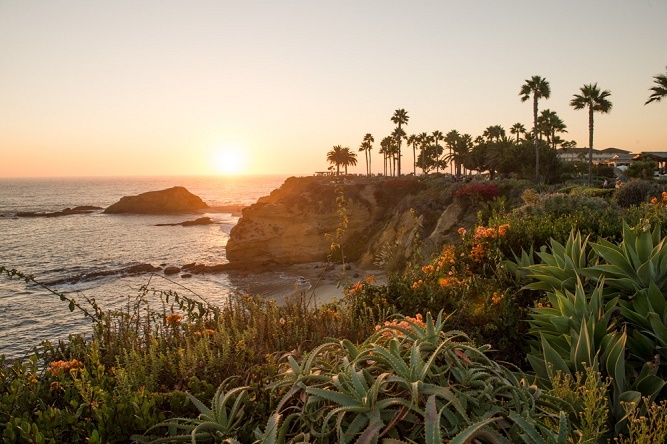 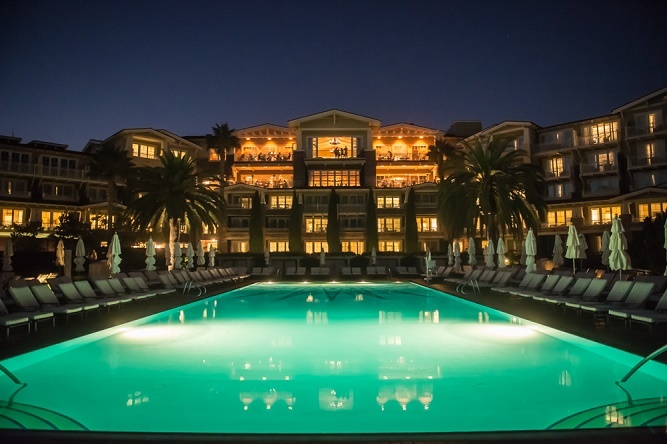 The luxurious Montage Laguna Beach is located on 30 spectacular, beachfront acres in the heart of Laguna Beach, California, just an hour south of Los Angeles and an hour north of San Diego. 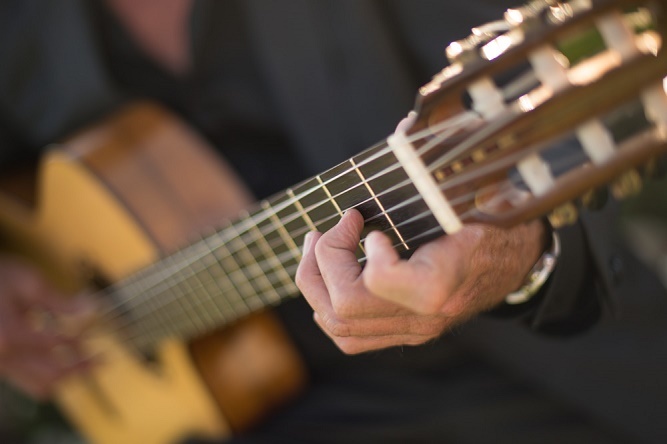 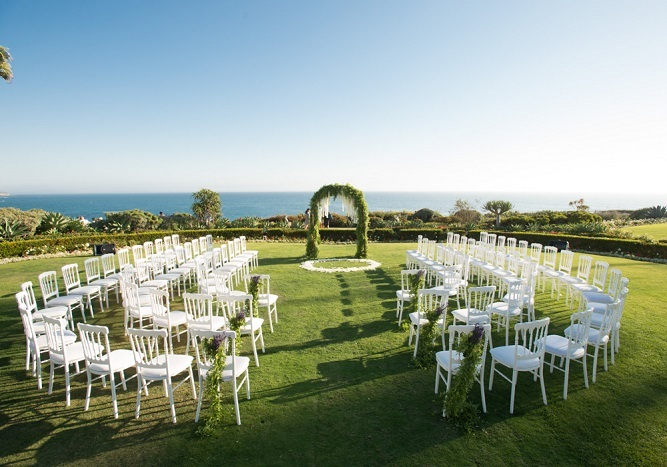 This award-winning resort is designed to perfection for romantic seaside weddings and our bride and groom chose it for its stunning setting, but also for its service excellence, and European aesthetic. 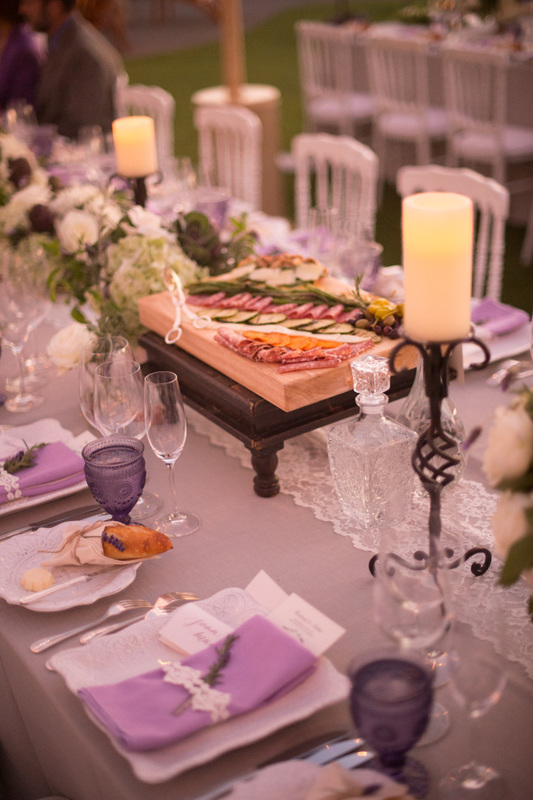 All in the very real hope of bringing their love for the French countryside to life while surrounded by their California friends and family. 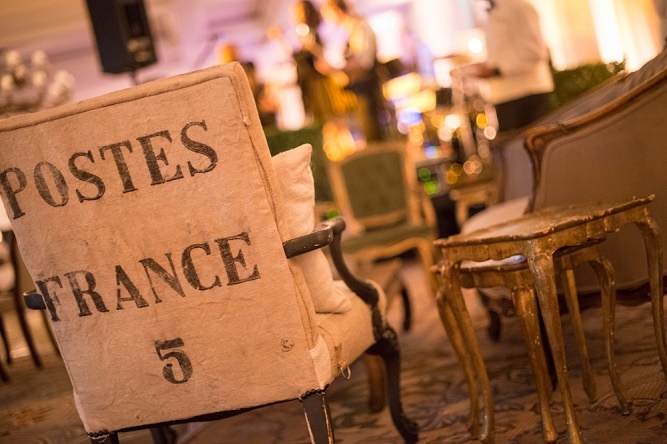 The best of both worlds, n’cest pas? 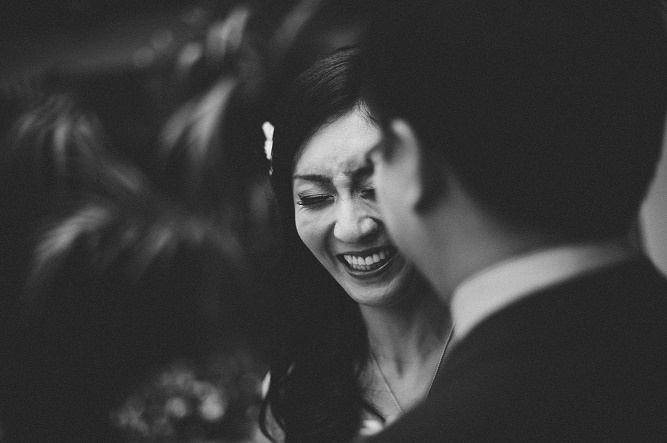 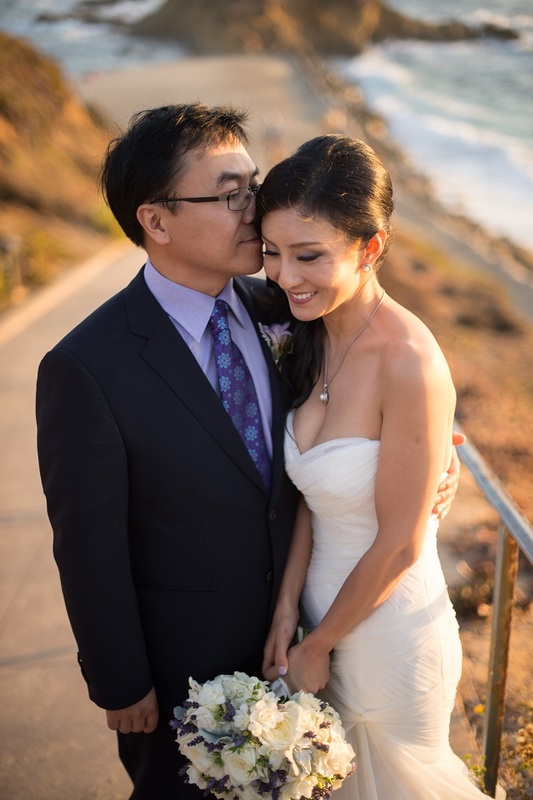 Having collaborated on another global destination wedding with the lovely Carolyn Chen of The Special Day, we were thrilled to work with her again on this wedding celebration! 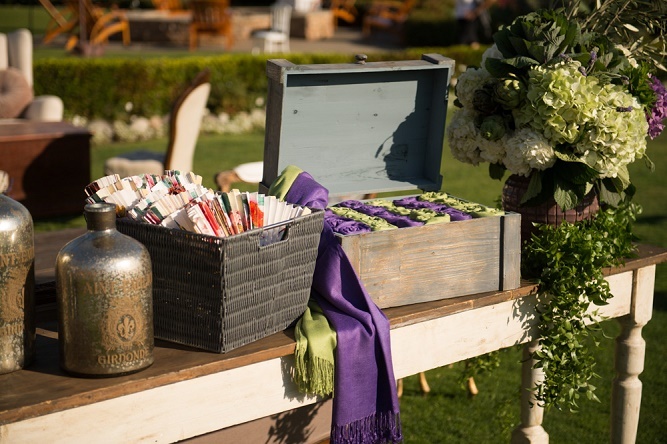 Not only is Carolyn brilliantly organized and generous with her team, but she is also tremendously creative. 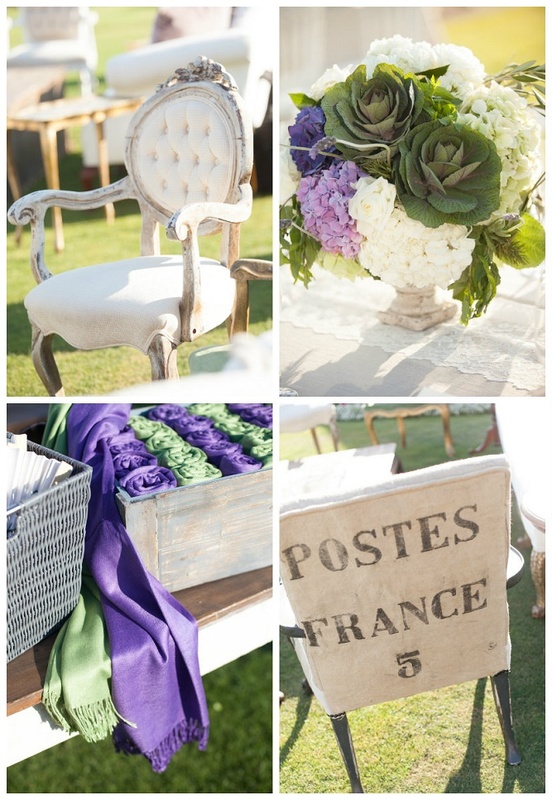 The French country theme proved to be a passionate one for Carolyn, and for us all, as it inspired everyone to incorporate soft, warm touches throughout, bringing distressed woodwork, rustic antiques, weathered vessels, vintage colored glass, and elegant earth tones all together into one cohesive design. 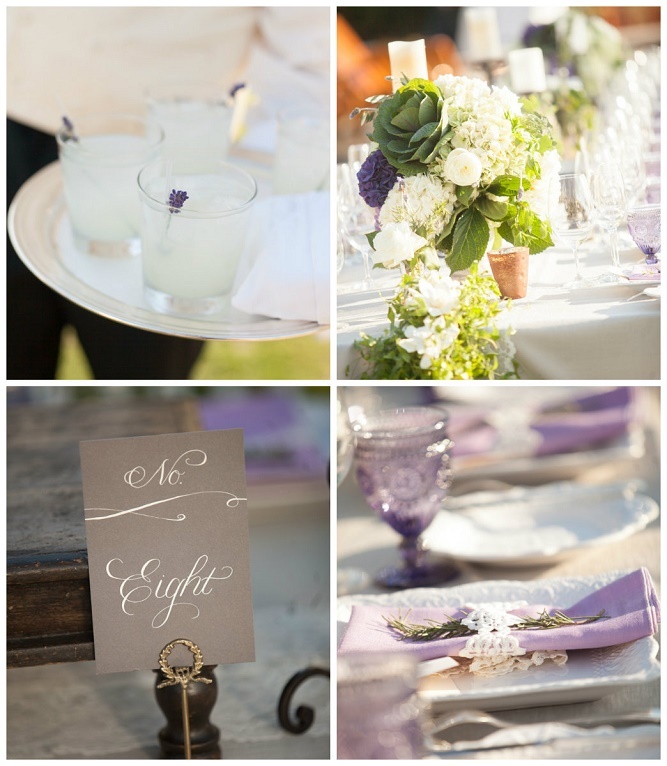 From the beginning, the color palette was inspired by the rolling hills of lavender fields found so prevalent in Provence, France. 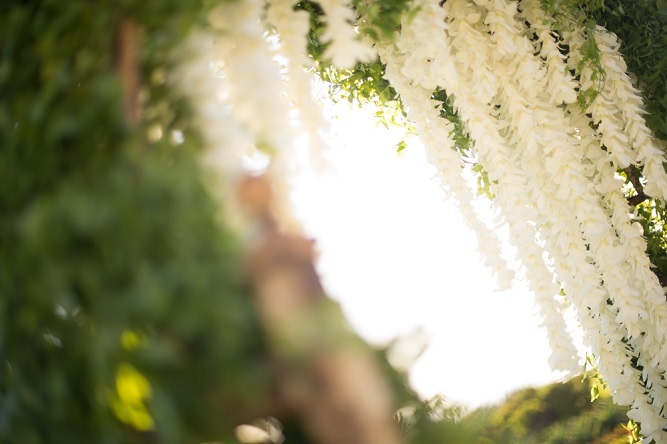 On a beautiful, sunny Southern California day, all the warm, welcoming touches found in an old French country manor were woven through each and every aspect of Kimberly and Arthur’s wedding. 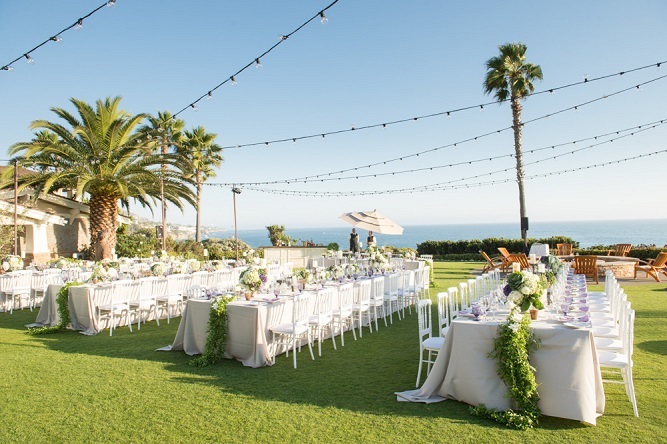 As the bride and groom dressed in their hotel suites, their guests were invited to the ceremony setting on the oceanfront lawn. 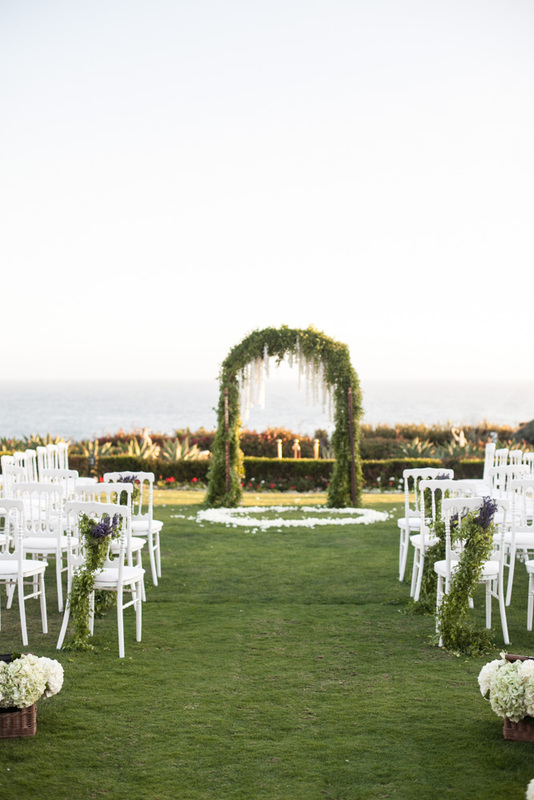 Our ceremony arch was grand in stature but simple in design as the Pacific Ocean was the main backdrop. 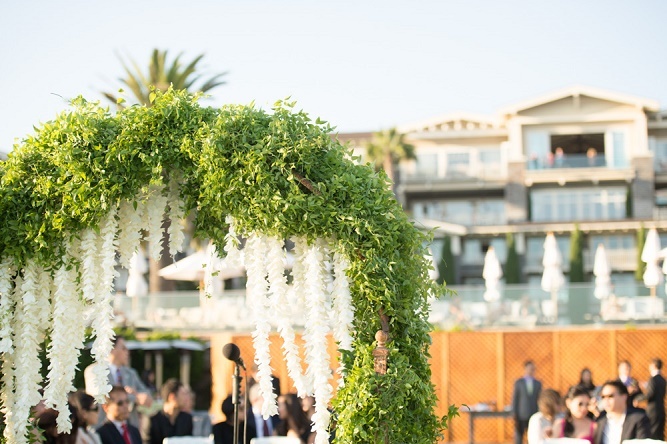 The wedding arch was fully-covered from top to bottom with fresh green Smilax vines and hand strung white Orchids cascaded softly from the center. 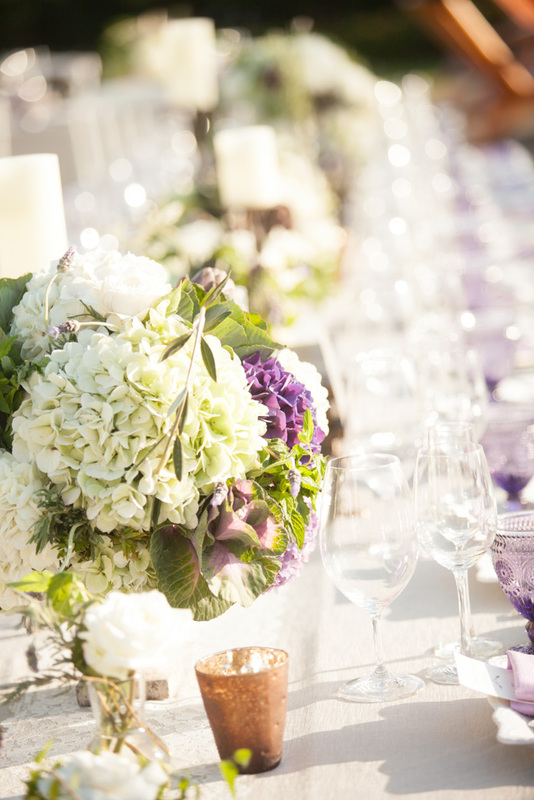 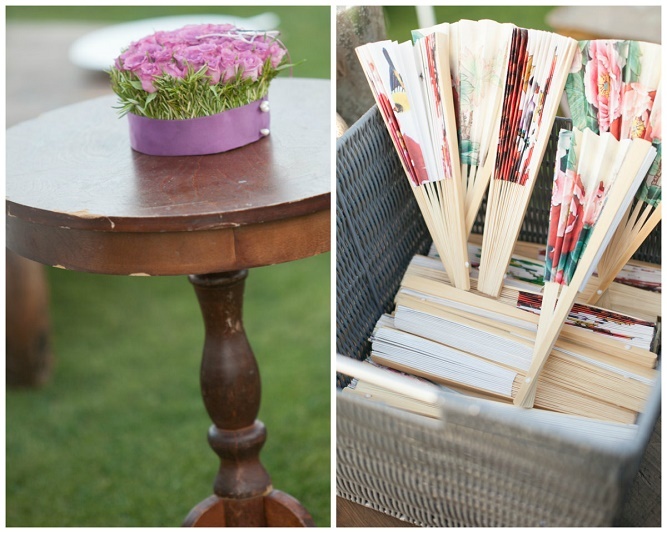 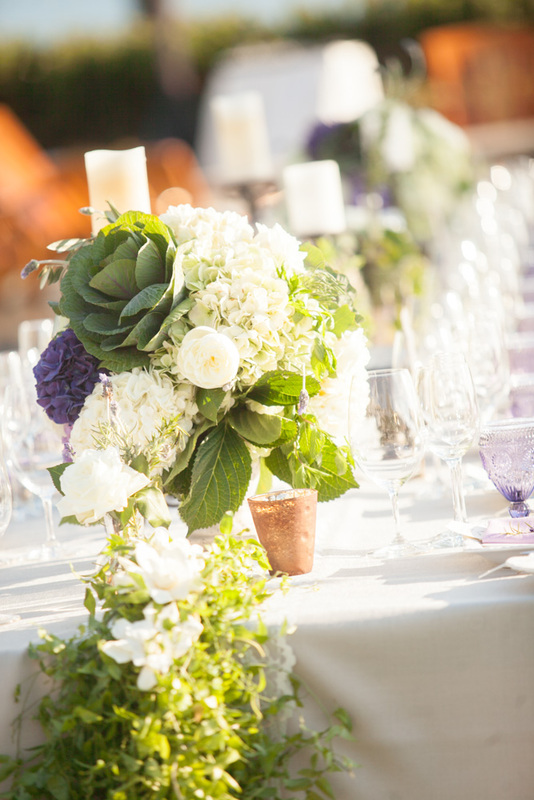 Lavender and sage pashmina wraps and hand-painted paper fans were offered to guests from antique tables dripping with fresh Smilax garlands, green Hydrangea, fragrant Rosemary, and French Lavender. 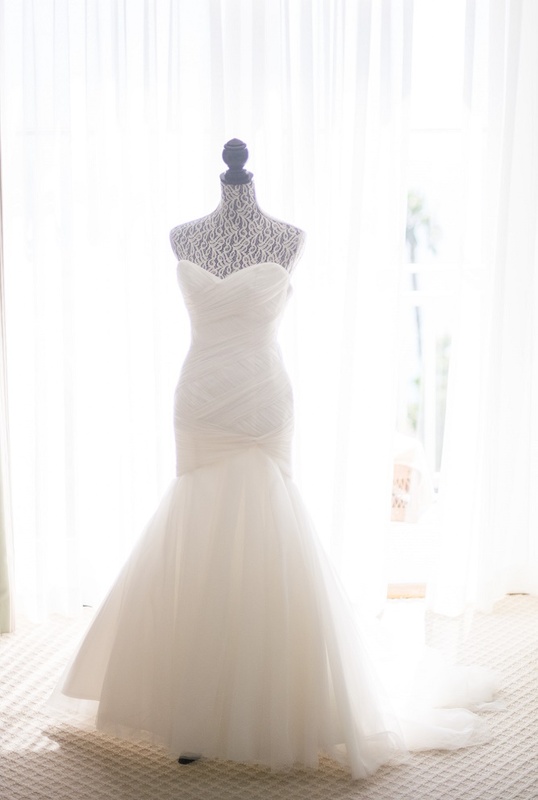 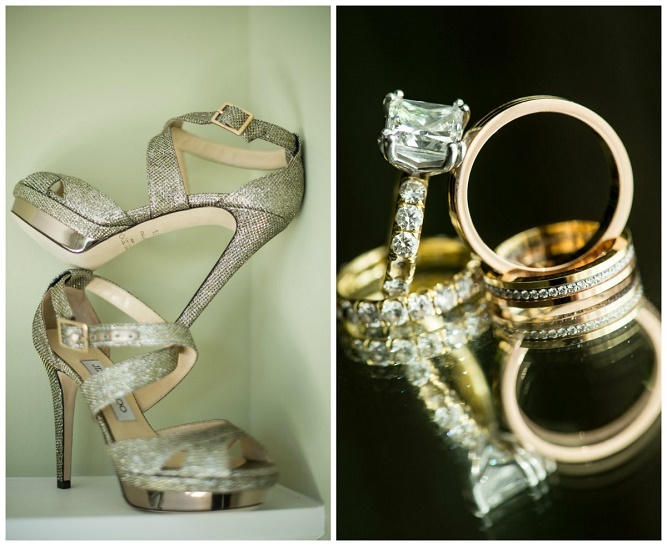 The bride wore a lovely strapless wedding gown, shimmering Jimmy Choo heels, and plenty of sparkles! 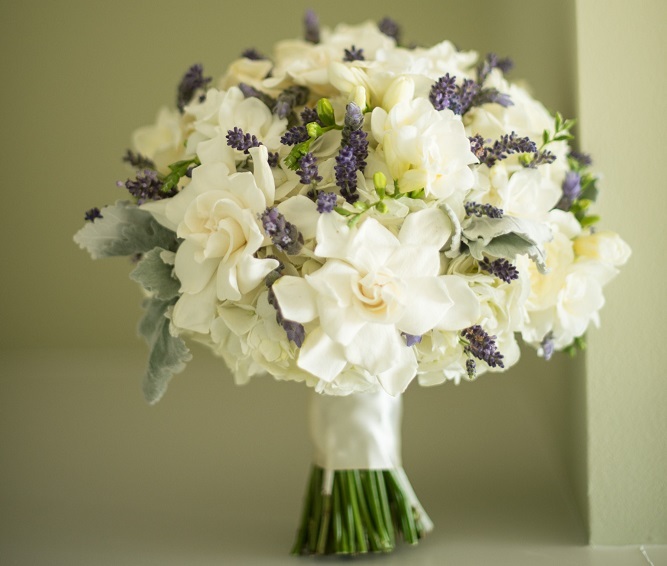 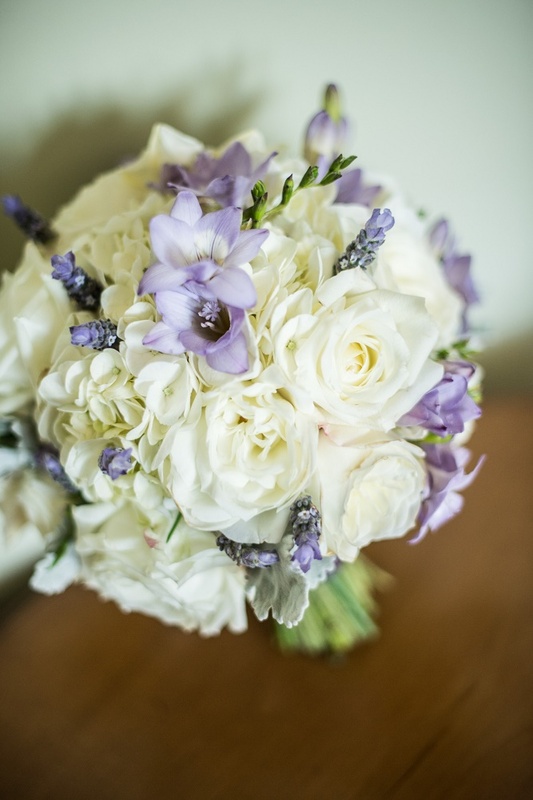 But, if we do say so ourselves, our bridal bouquet with white Garden Roses, white Hydrangea, white Gardenias, purple Freesia, French Lavender, and Dusty Miller, was perhaps, the most beautiful accessory! 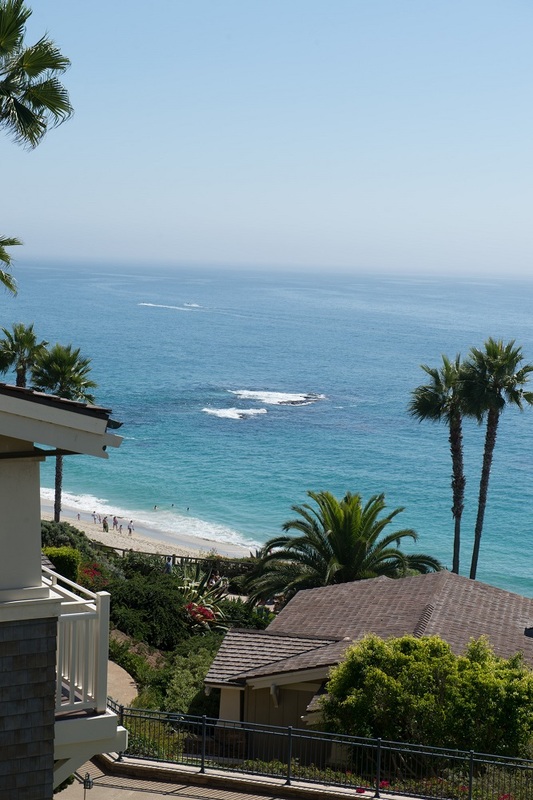 Parfait! 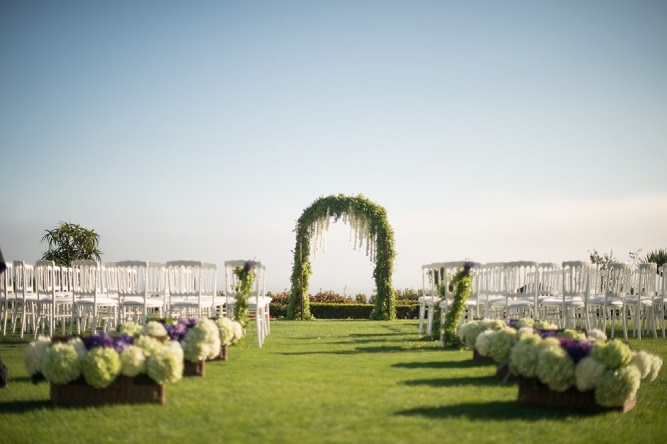 The outdoor ceremony setting was softened into a U-shape around the arch, allowing more guests to see the service. 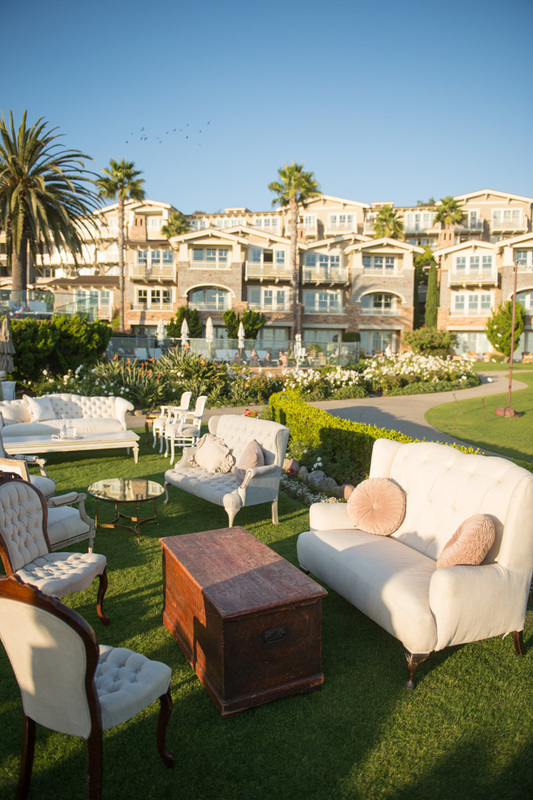 But also to bring family and friends closer to the romantic ring of rose petals we created on the lawn where the bride and groom stood and exchanged vows. 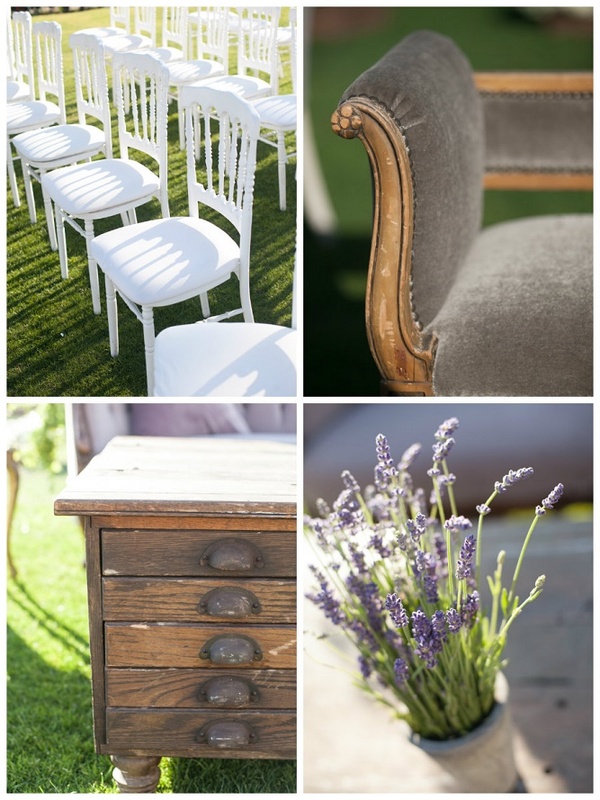 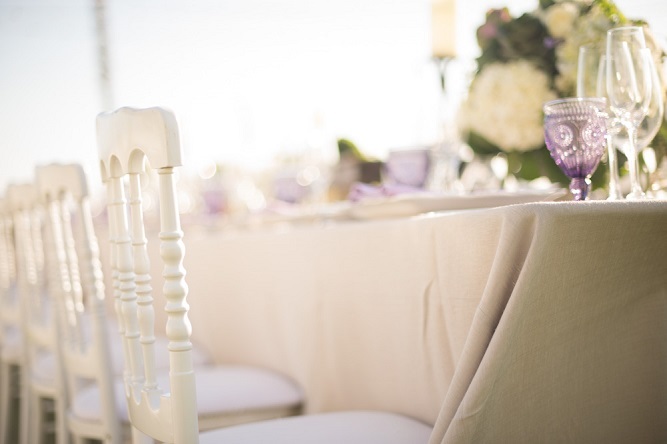 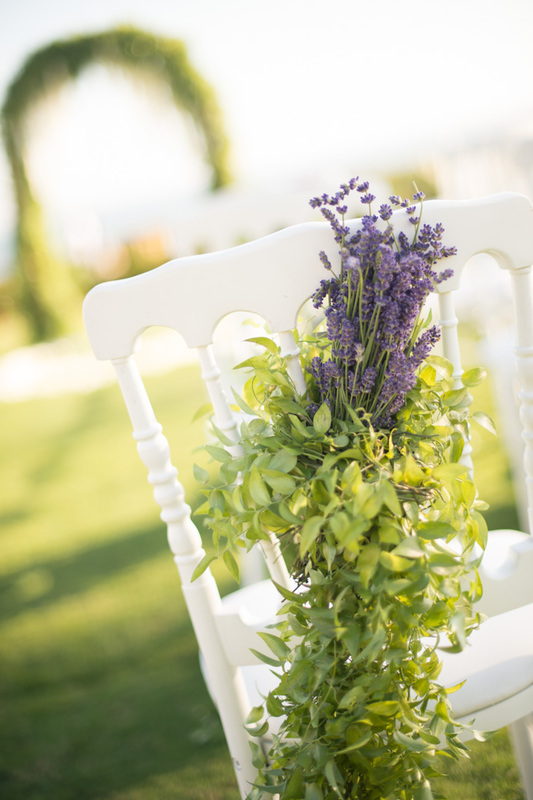 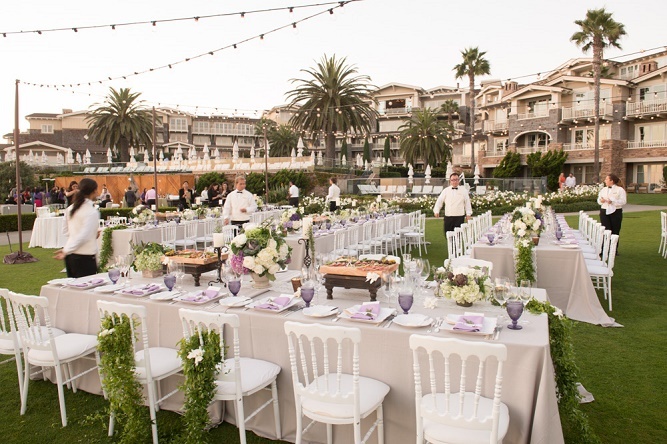 Keeping to the theme, guests were seated on French-inspired white chairs, some dripping with greens and lavender, or on vintage velvet or linen upholstered lounges, chaises, and settees. 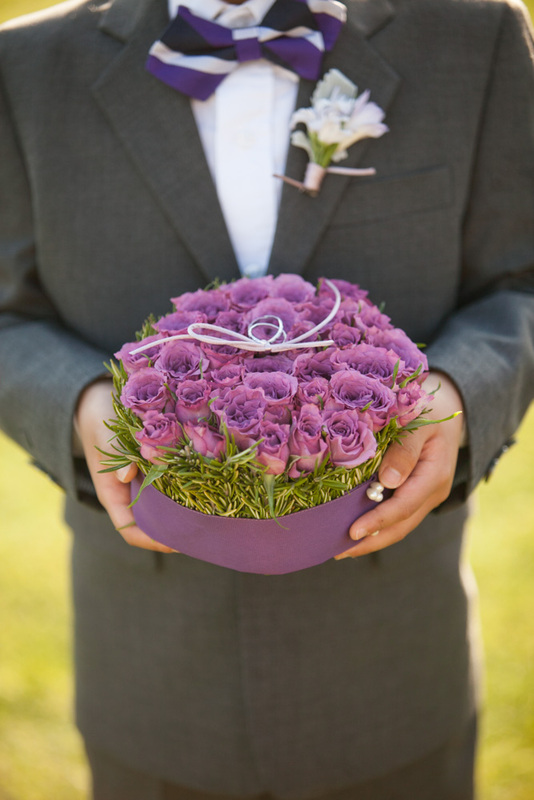 For the ring bearer, we designed a box of purple Roses and fresh Rosemary to hold the rings. 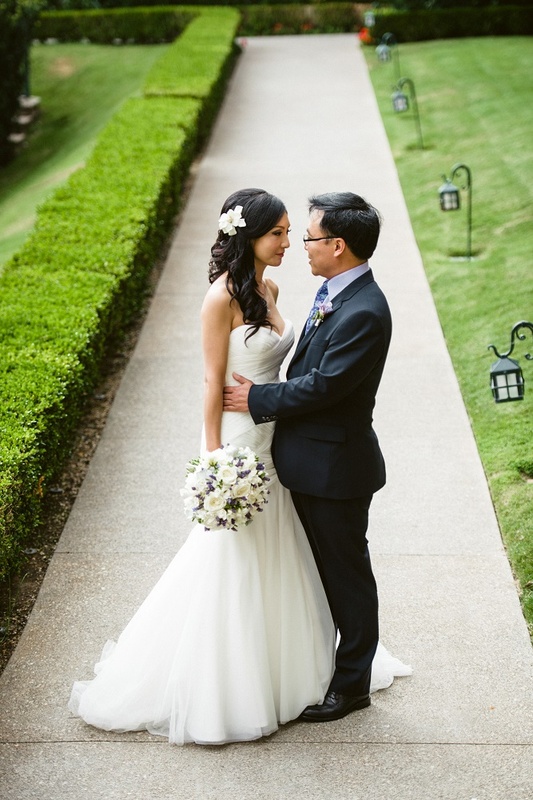 His purple and white striped bow-tie was tres charmant and our Freesia and Dusty Miller boutonniere was an added floral accessory that didn’t overwhelm. 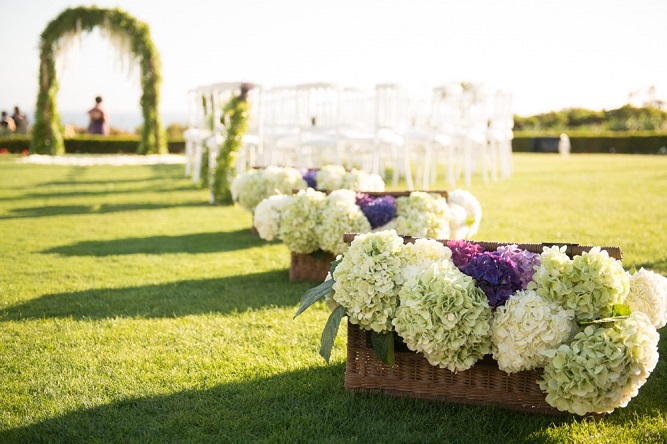 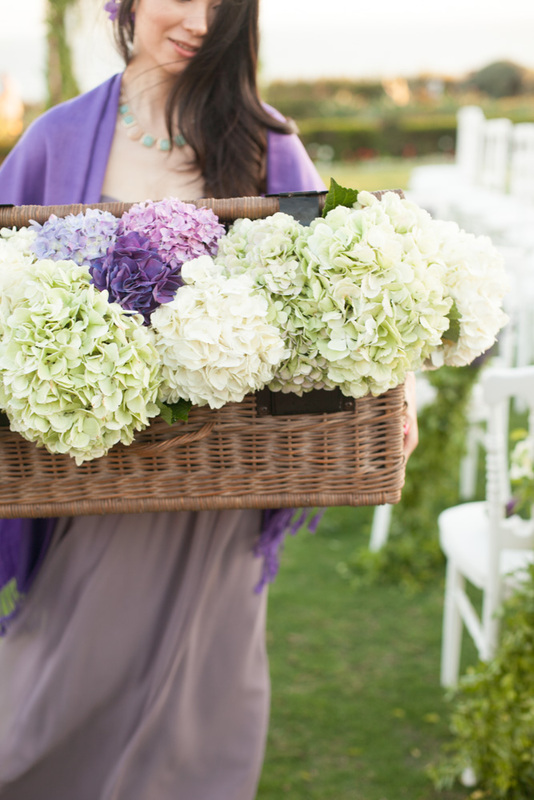 Baskets and baskets of big, beautiful mop-head Hydrangea were used throughout the wedding ceremony and cocktail settings to BIG advantage! 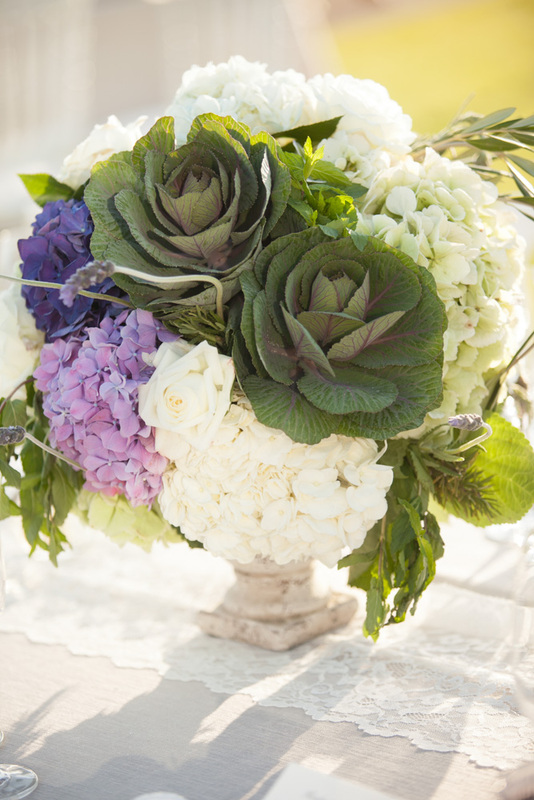 For big impact, nothing beats the drama Hydrangea provides! 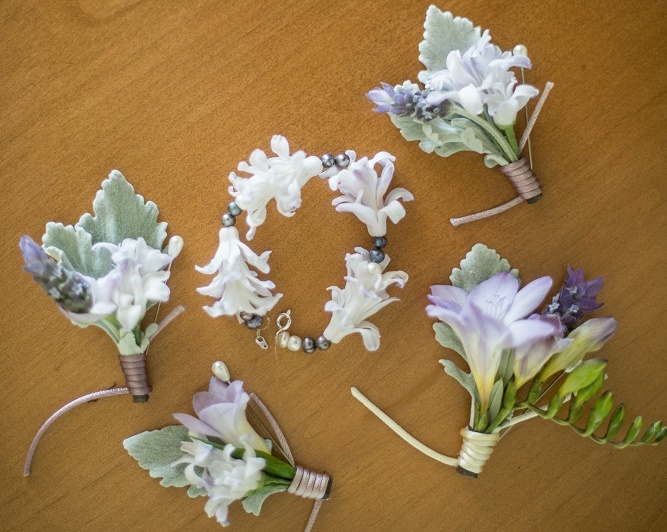 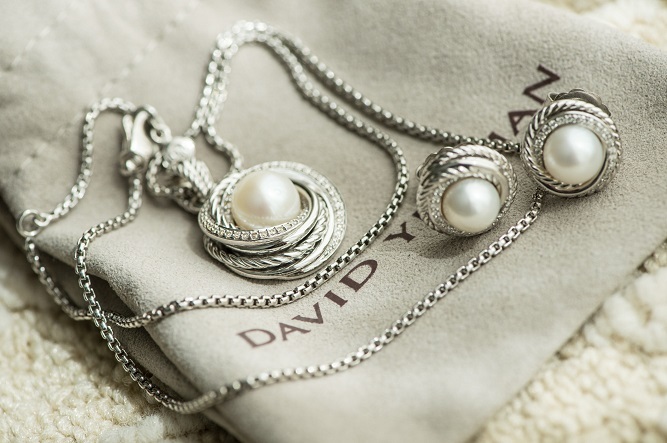 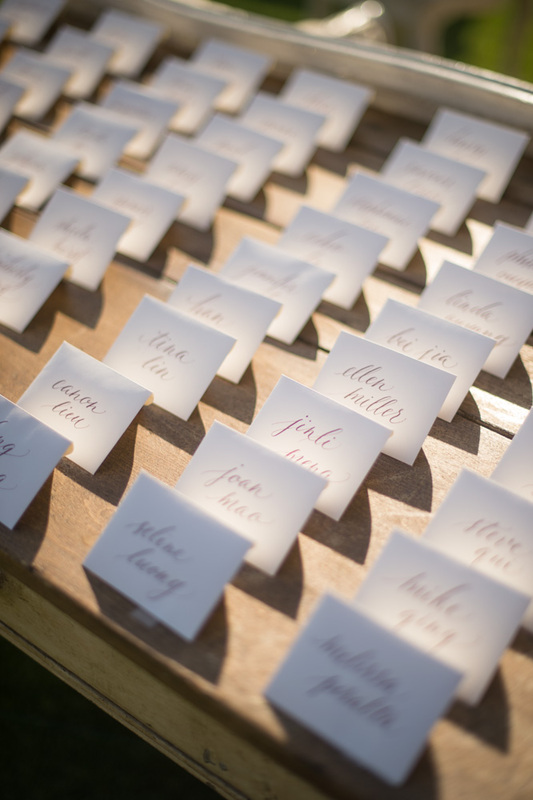 We really loved this idea from Carolyn Chen as it is one of the most endearing ideas for a wedding keepsake. 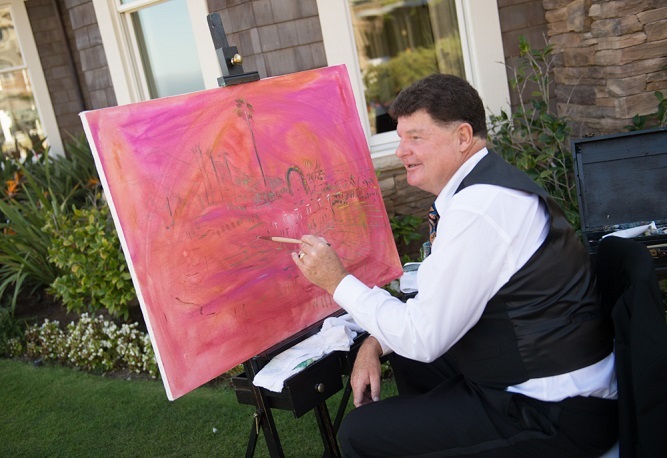 A painting of the wedding made on-site, live at the event! 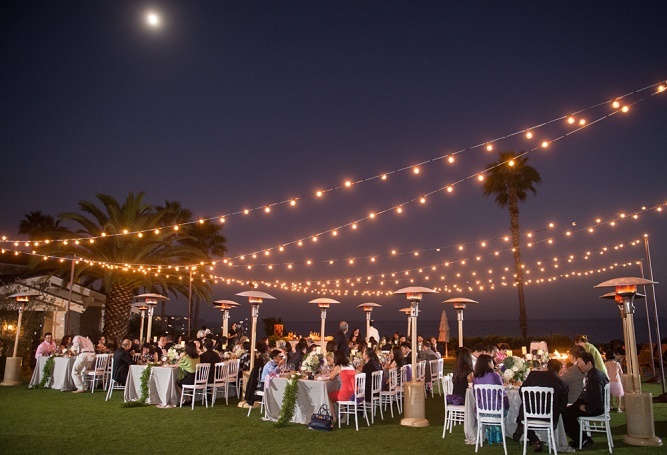 Not only did it capture the essence of the event as it happened in exactly the light it happened in, but it also provided entertainment to the guests who could watch it take form. 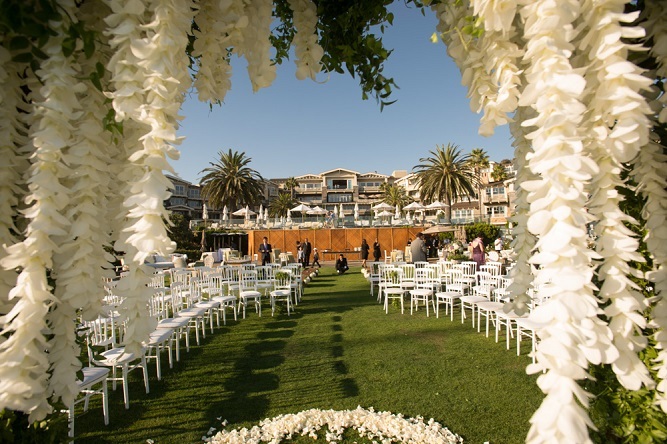 After the ceremony, while guests enjoyed specialty cocktails and tasty hors d’oeuvres catered by the talented culinary team at Montage Laguna Beach, the bride and groom were photographed all over the magnificent beach resort. 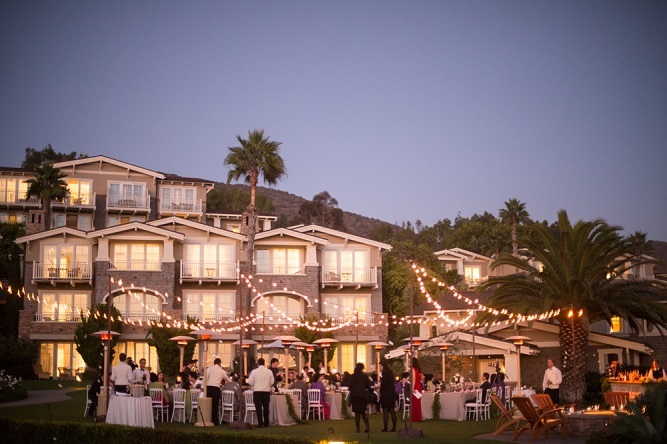 Many of the photographs could have been taken at a French chateau rather than a California hotel. 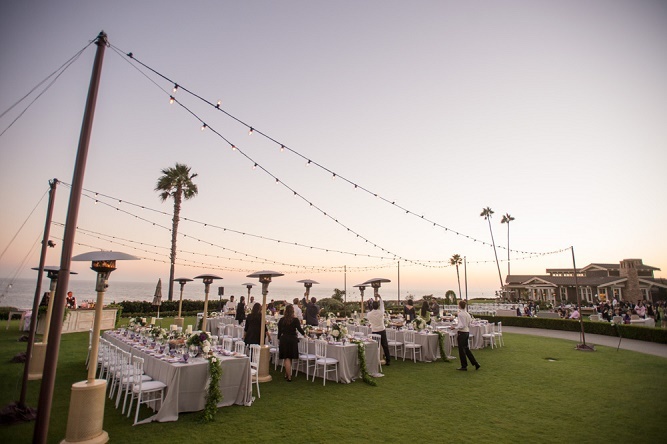 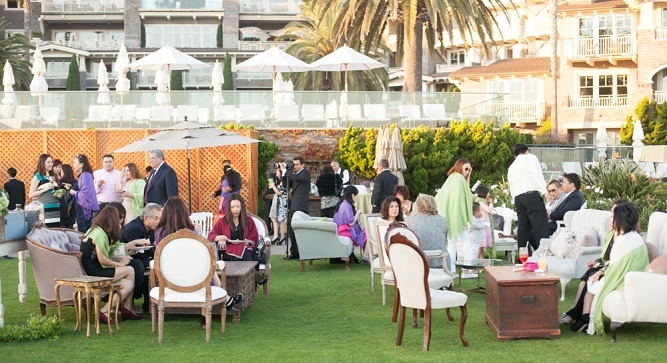 As the sun began to set over the ocean, the wedding guests were invited to the open-air wedding dinner on the great lawn. 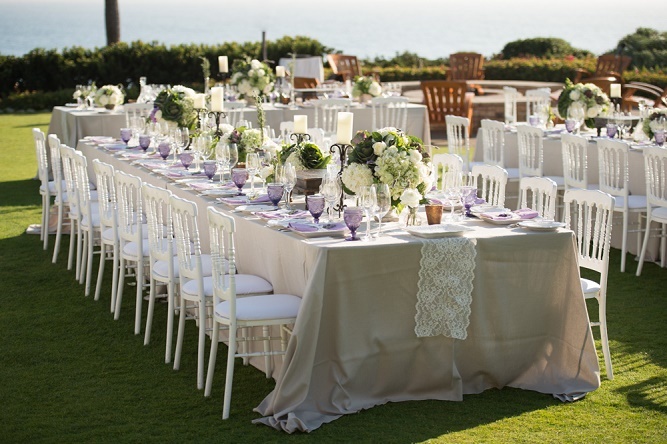 We designed long rectangular feast or “imperial” dinner tables for the celebration that were covered with Taupe Linens and Lace Runners. 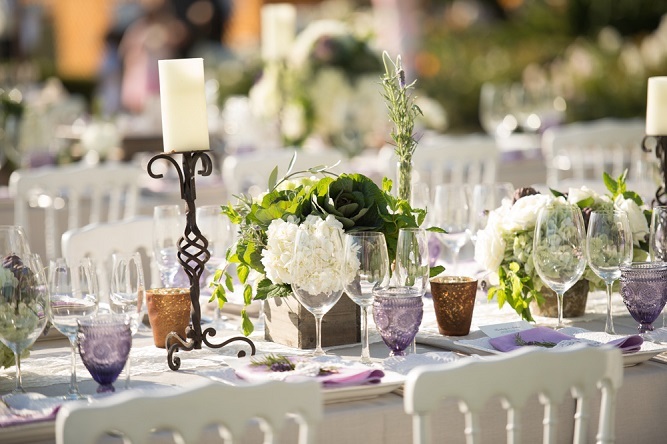 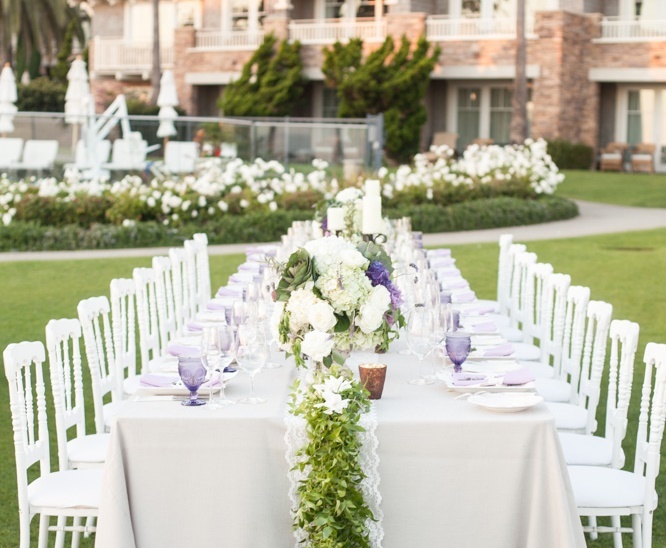 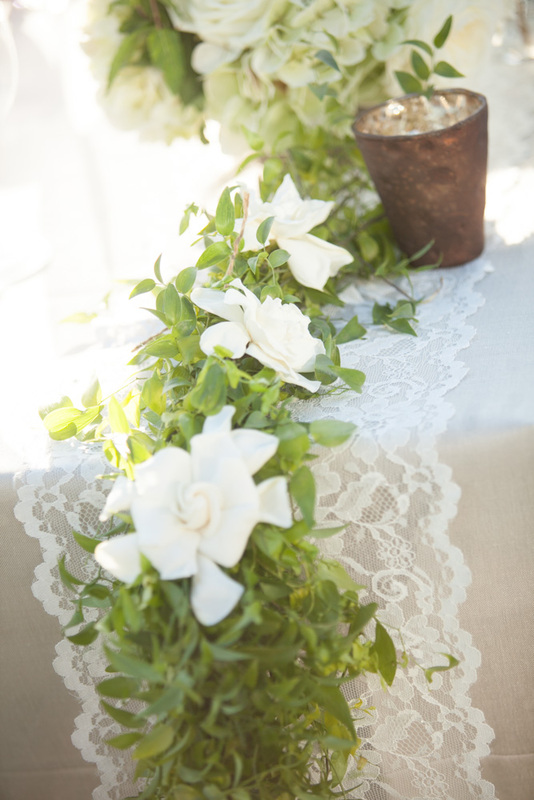 Floral décor for each table included Smilax vines, whole artichokes and heads of kale, Hydrangea, Garden Roses, Rosemary, Mint, Lavender, Gardenia, and Freesia. 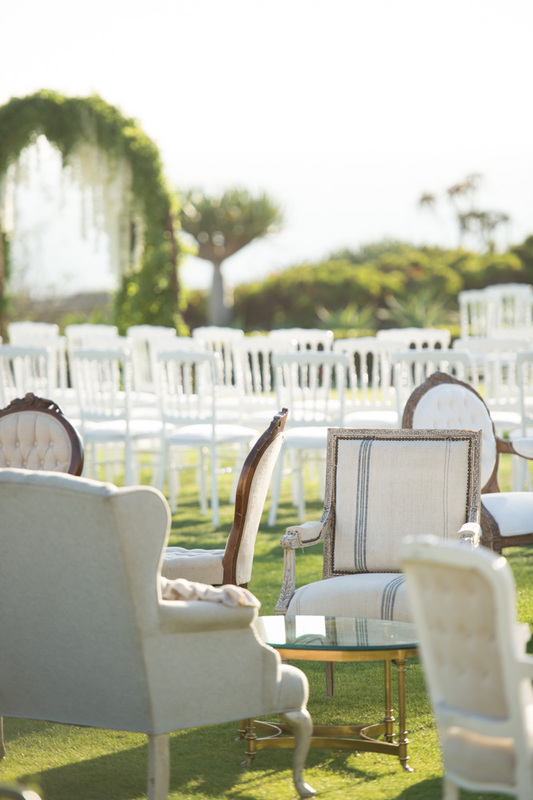 Different heights and varied arrangements were created for a textured, lush feel across the whole outdoor room and the same formal, white French chairs used for the ceremony earlier were placed around the tables. 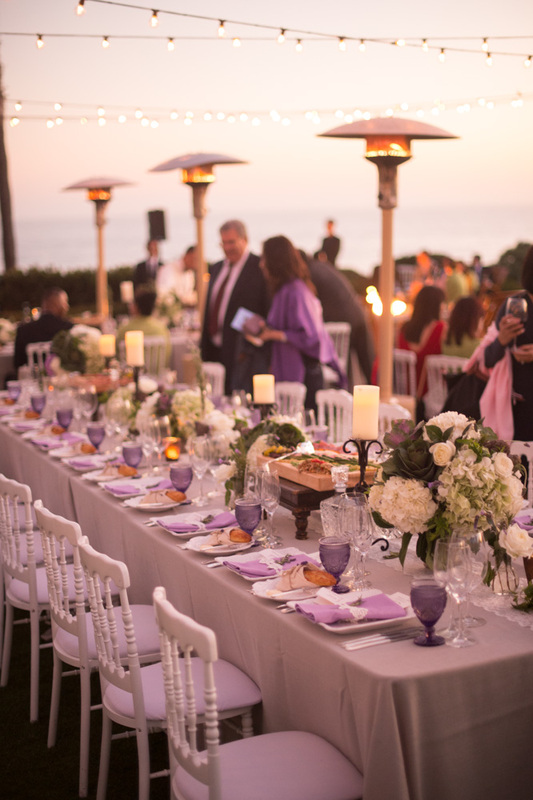 Of course, no romantic dinner table is complete without flickering romantic candles at various heights and we provided dozens and dozens of them! 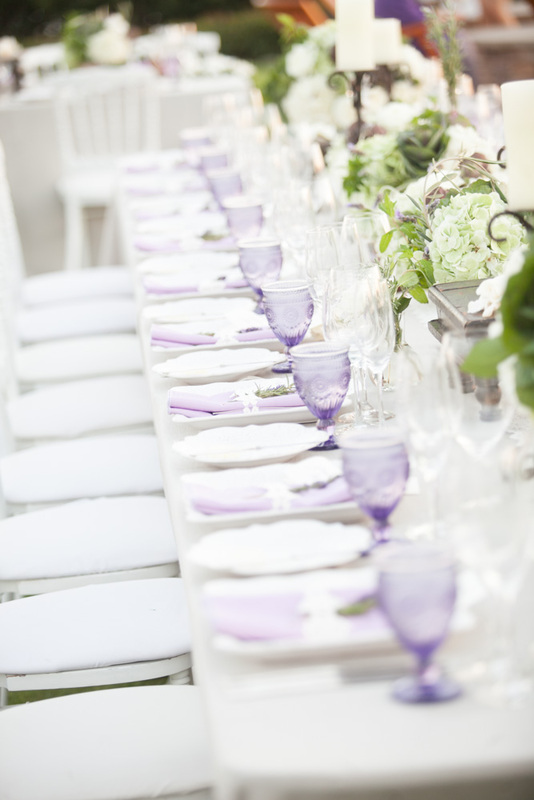 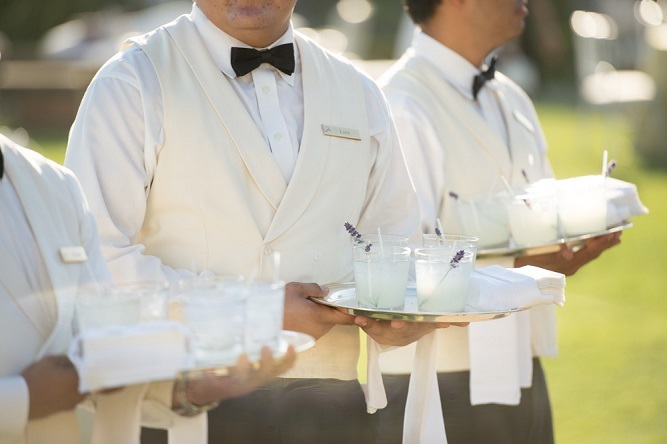 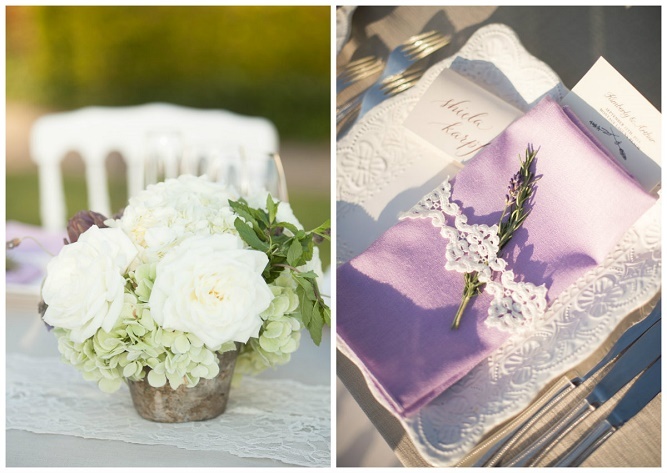 No detail was left undone, from the lavender linen napkins wrapped with lace and fresh Lavender, to the pale purple glass water goblets and hand-calligraphed French table numbers. 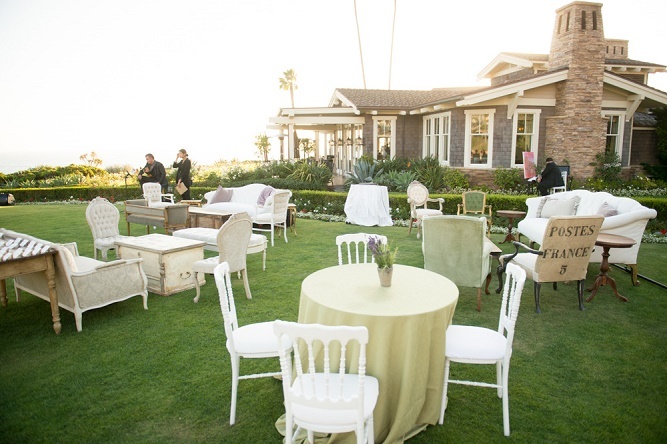 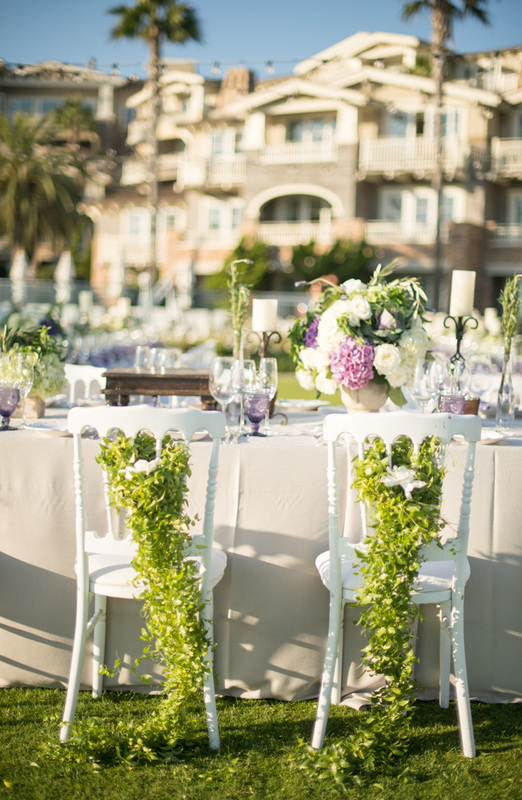 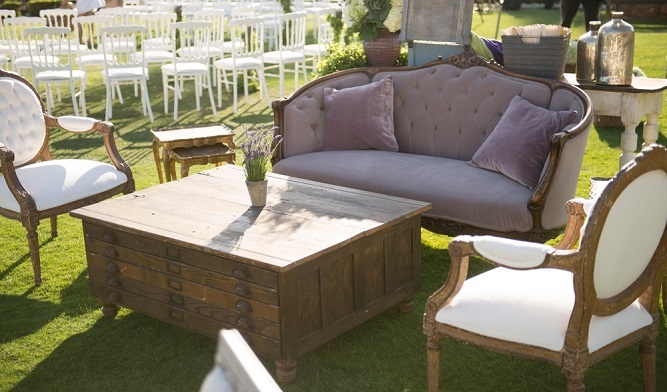 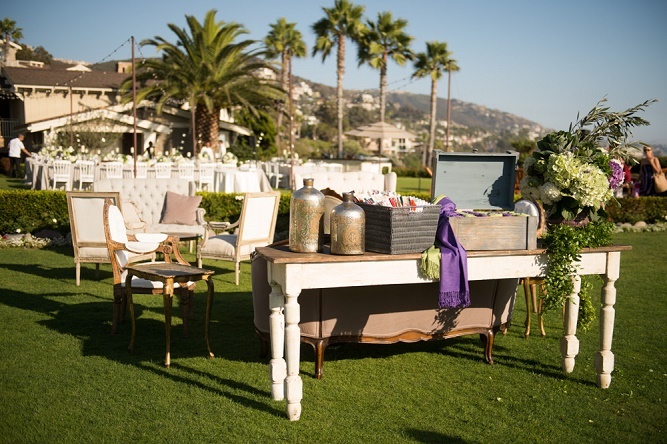 Each detail brought the party theme back to the original vision: French Country meets California Coast. 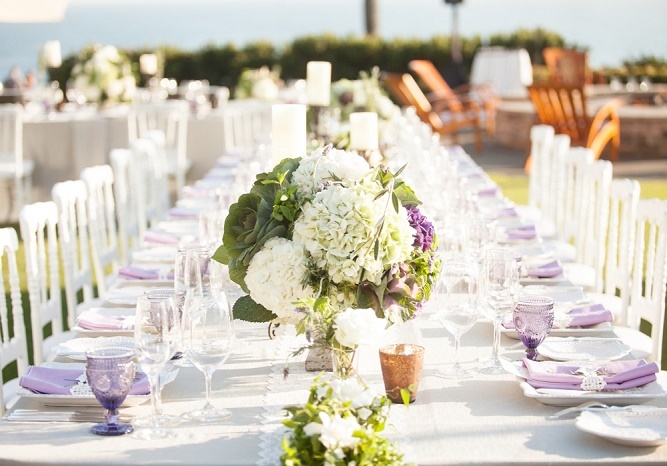 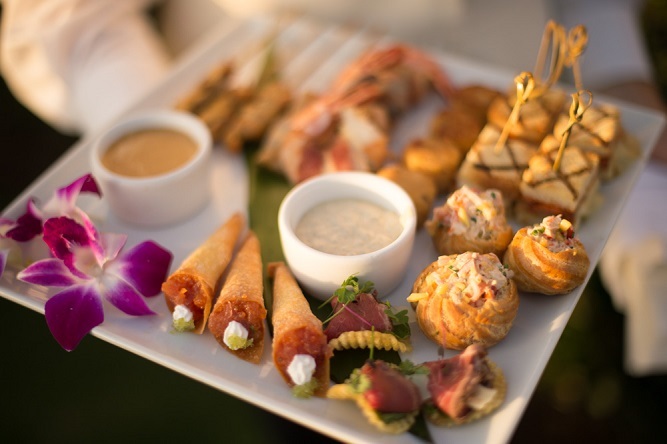 Perhaps one of our favorite details of Kimberly and Arthur’s special day was the European menu brought to life by the Montage Laguna Beach. 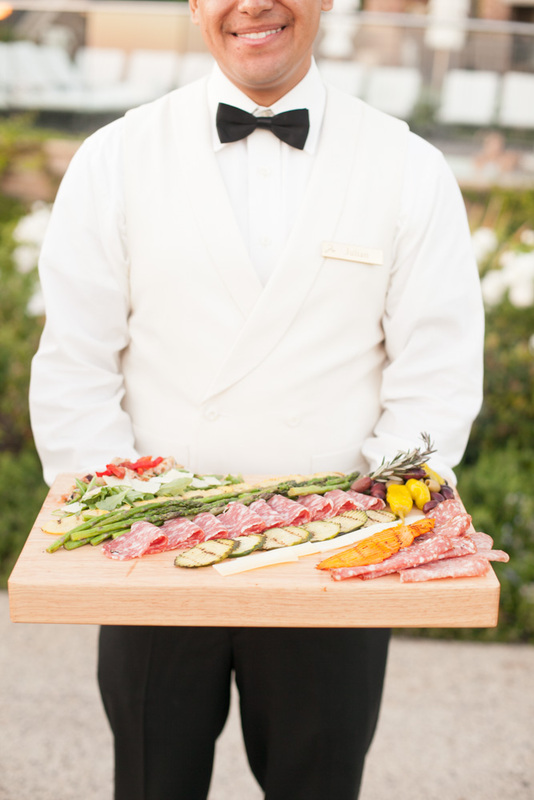 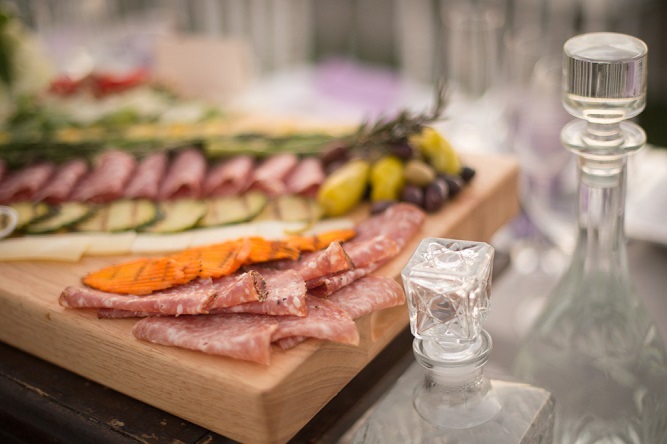 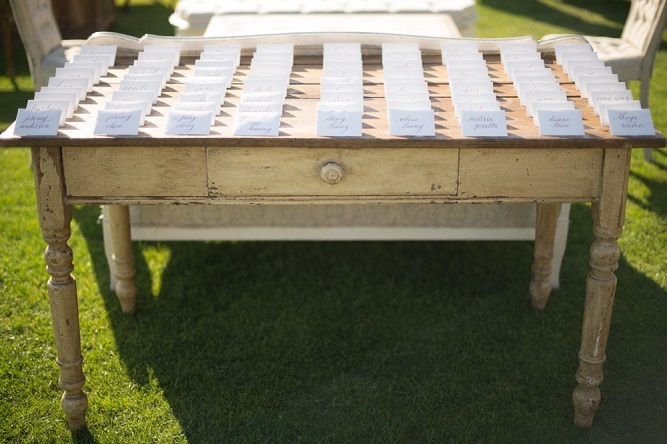 These charcuterie boards placed down the length of each feast table were a highlight, as were the white aproned-black bow-tie wearing waiters! 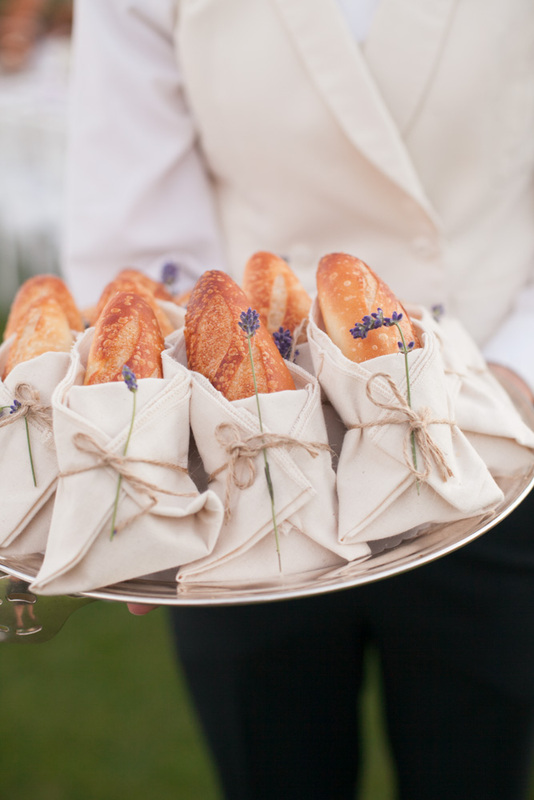 Only the mini French baguettes wrapped in linen cloth, twine, and fresh Lavender could challenge the title for best foodie touch! 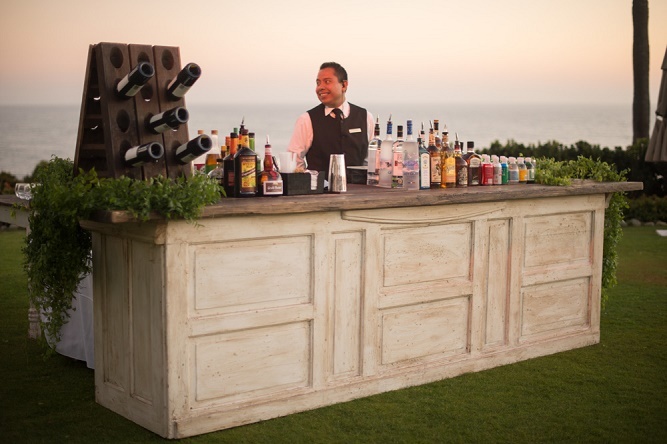 And, let us not forget the incredible white-washed, weathered door cocktail bars placed around the party area. 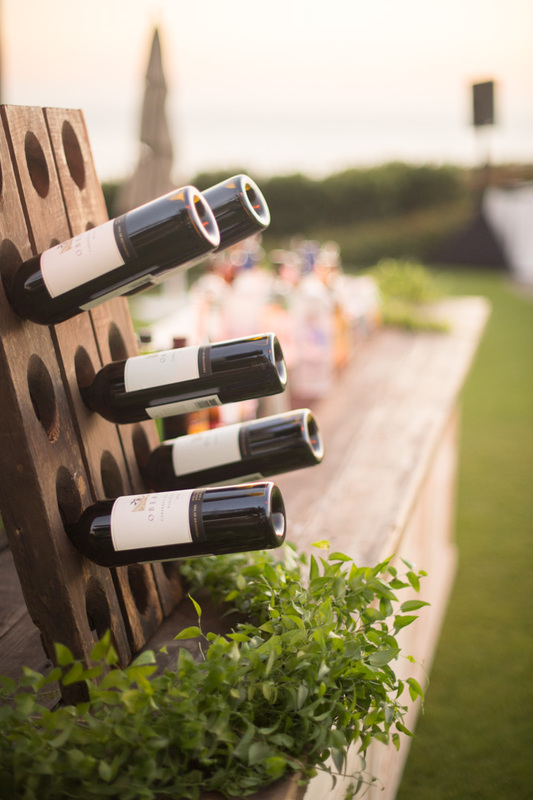 Spectacular, right down to the wine bottle presentation! 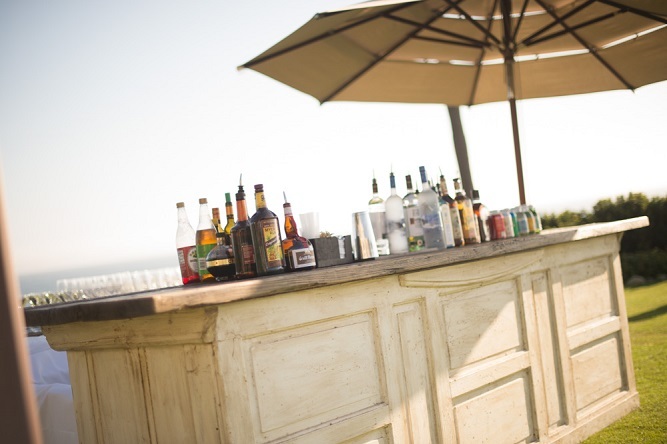 Believe it or not, this party wasn’t over yet! 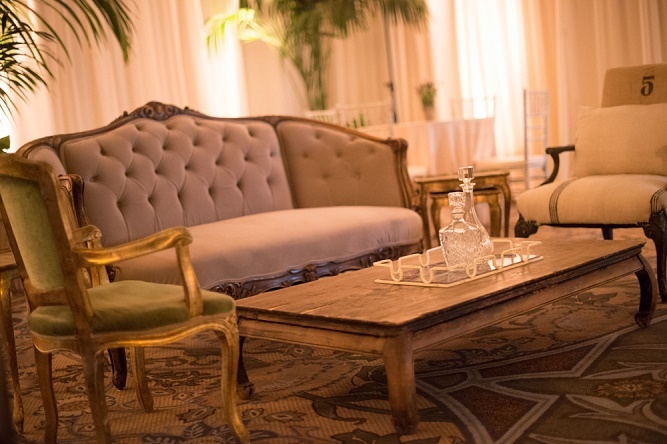 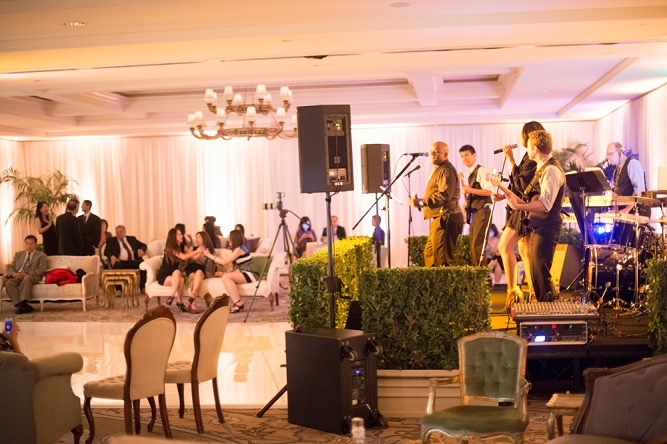 As the sun fully set and the bistro lights twinkled over the dinner tables, we were setting up the chic apres soiree in the ballroom for the dance and dessert party yet to come! 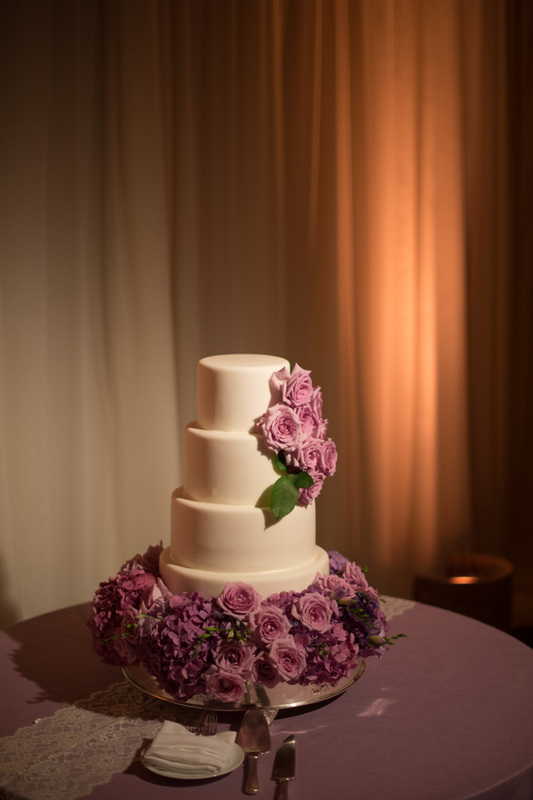 After the bride and groom cut the wedding cake, they danced the beautiful, memorable night away with their friends and family. 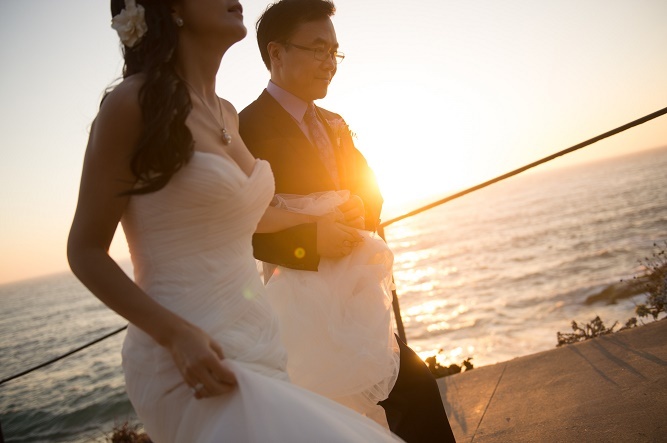 What a magical celebration and one we wouldn’t have missed for the world! 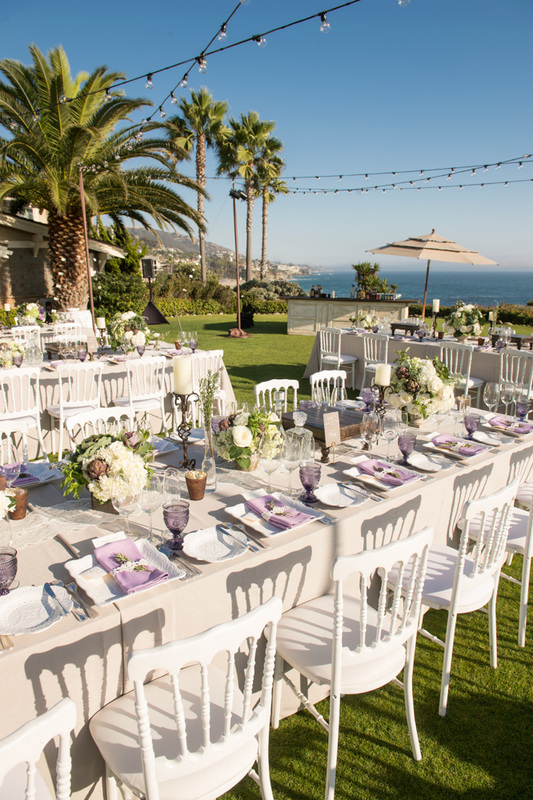 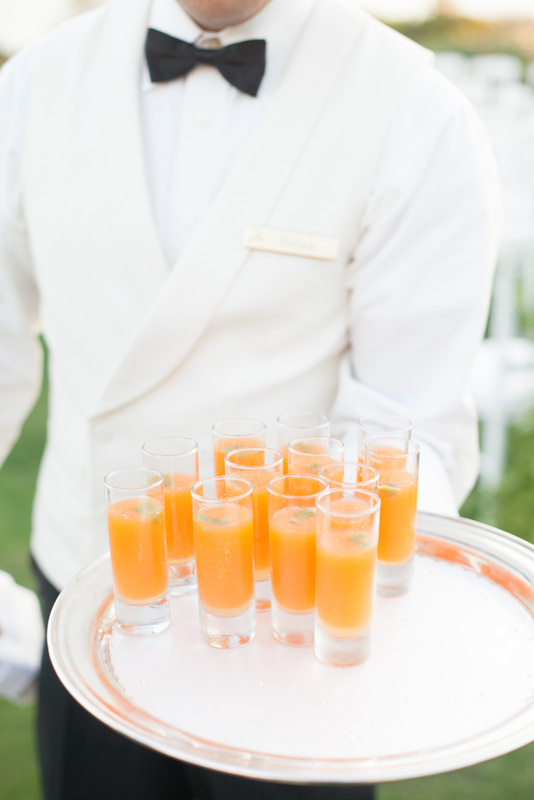 A French Country Wedding at Montage Laguna Beach in beautiful Laguna Beach, California, United States.